Storage is the primary benefit of most sheds. Most homes today are simply not large enough for all the stuff we desire to have. Main floors and garages are often converted to rental spaces or are already in use, meeting other needs. 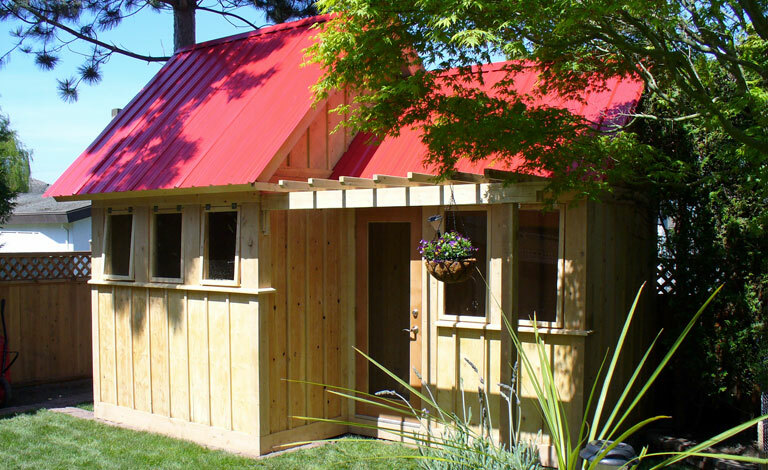 The client is often left with three options when they no longer have enough space in their home: buy a new home, build an addition, or build a custom shed in their backyard. From an economical stand point if you require less than 105 sq feet a shed will be by far the cheapest of the three options, as no building permits are required and as the scale of the project is very small. However, it should be noted that additions generally are more economical when adding more than two bedrooms or living spaces onto an existing home as you now have some economy of scale to spread the costs of the foundation, design work, building permits and general construction costs over. 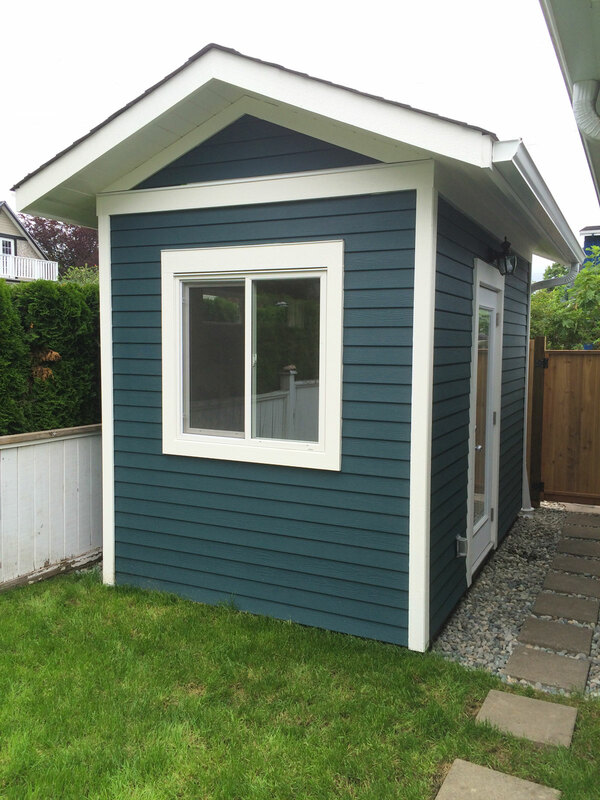 Another good comparison is comparing the cost of renting a storage locker versus building a custom shed. 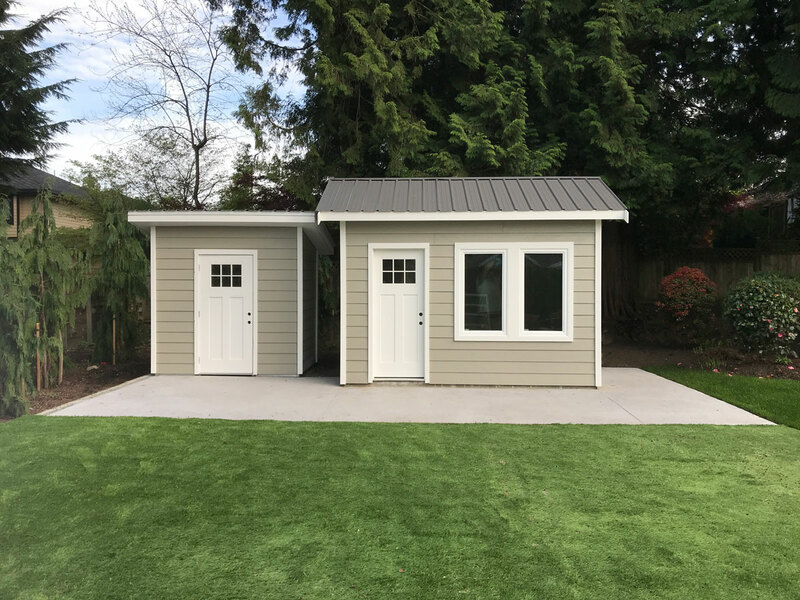 In many cases, three years of rental of a 100 square foot storage locker often equals the cost of building a 100 square foot storage shed. For information on costs please visit our price and considerations page: a guide to a better shed. 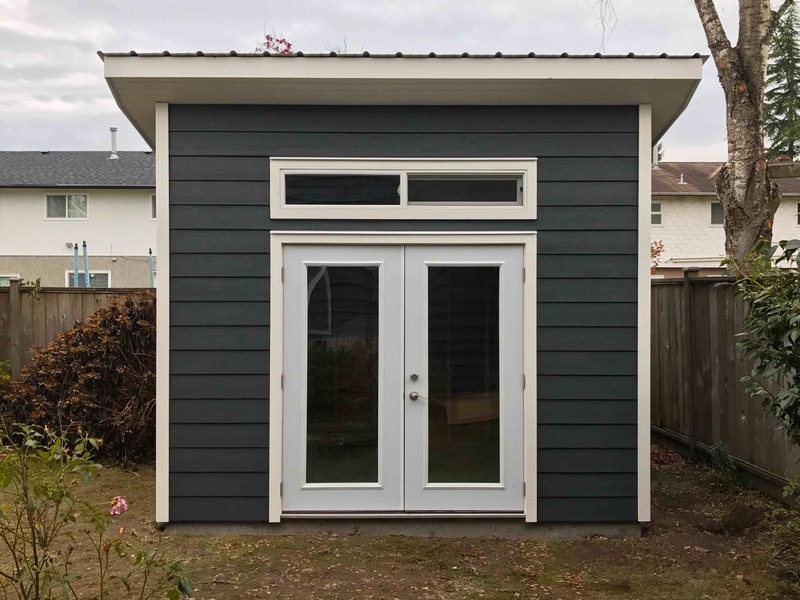 Home office or work space As discussed above the cost per square foot of building an addition on your home is far greater than simply building a shed to build for an office. 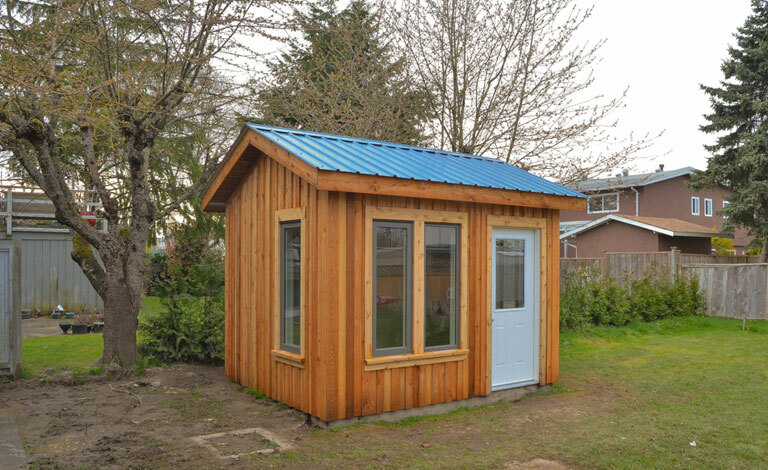 Our sheds built for home office or other work spaces can be insulated and connected with electricity. They include drywall, baseboards and mouldings, hardwood floors, virtually the same materials you would have in the interior of your home. We always design our sheds that are going to be used as offices with lots of windows to allow for as much natural lighting as desired. Art studio or hobby space. We have some very nice designs for art and hobby studios. These designs have studio windows that run along the top of the walls, that have maximum space for displaying art. We can install laminate or tile flooring which will make cleaning up after a hard days work easier. As well our shed can be custom built to meet all of your lighting needs. Sheds make an excellent space to use for a craft room. For instance if you are a scrapbooker you can spread out all your work and not have to worry about packing it up, like you would do if it was on your kitchen table. A craft shed will allow you to expand your hobby, use your creative juices to the fullest while having the space to be well organized and efficient. Retreat space to relax and read. Picture a place that you can retreat to that can be set up to relax, read, write and get away from the cares of the world. As this is a personal space that is only for you or your spouse, you can set it up just the way you like it. 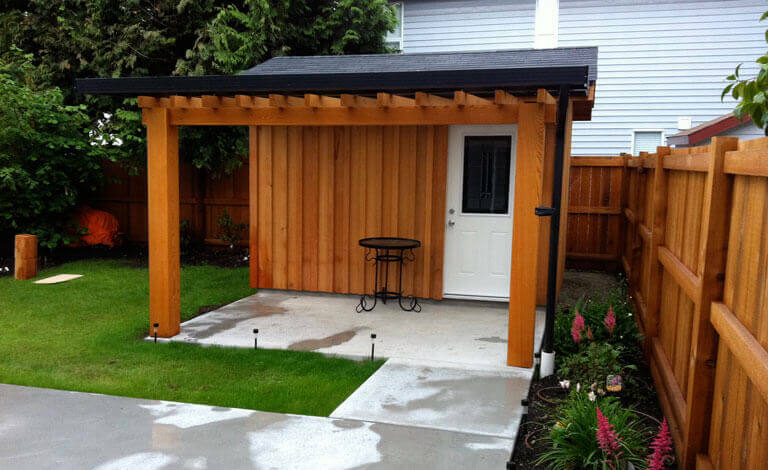 These sheds can often be fitted with double french doors to allow you to relax in a more natural setting, in your backyard. Playroom or drum room or a general space for your kids to make noise. This playhouse could be an outdoor space for your kids to enjoy, while you are relaxing outdoors in your vegetable garden or outdoor living space. This room can include carpet, or foam flooring, toys, and crafts. This is also a great place to send your kids to practice their drumming or violin. Garden shed or potting shed. 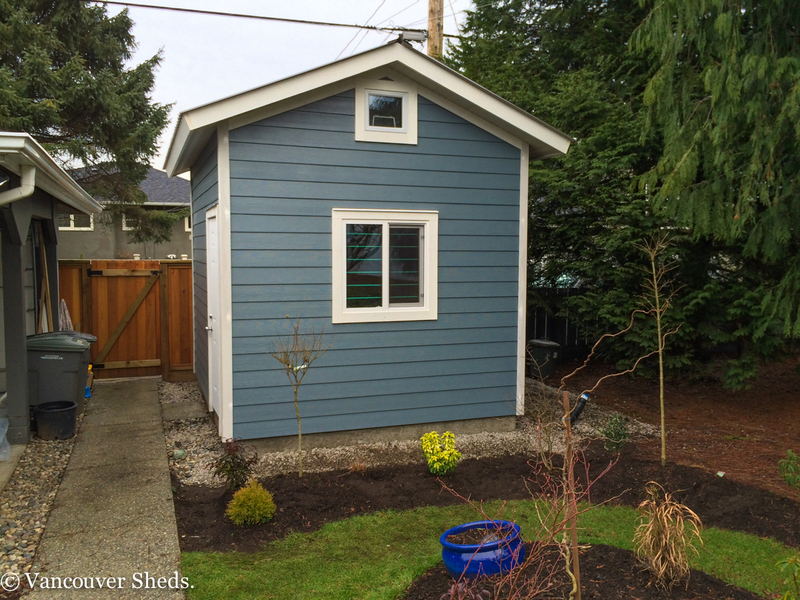 If you are a gardener you will love having your own garden shed. 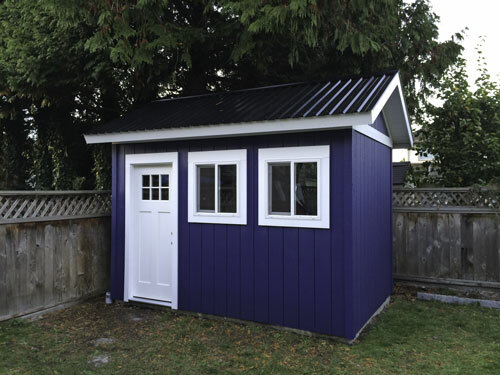 Not only can this shed be used to store your tools and gardening supplies, but can also be used to repot plants or to start seedlings on rainy Vancouver days. We can also customize the design of your garden shed to include a large window or two that are specifically oriented for starting seeds, giving you a mini greenhouse. We can bring a waterline to your shed to supply water for your plants, or a rudimentary washup sink. As with all of our sheds we can bring electricity to it to supply lights and heat for growing plants or working on rainy days.